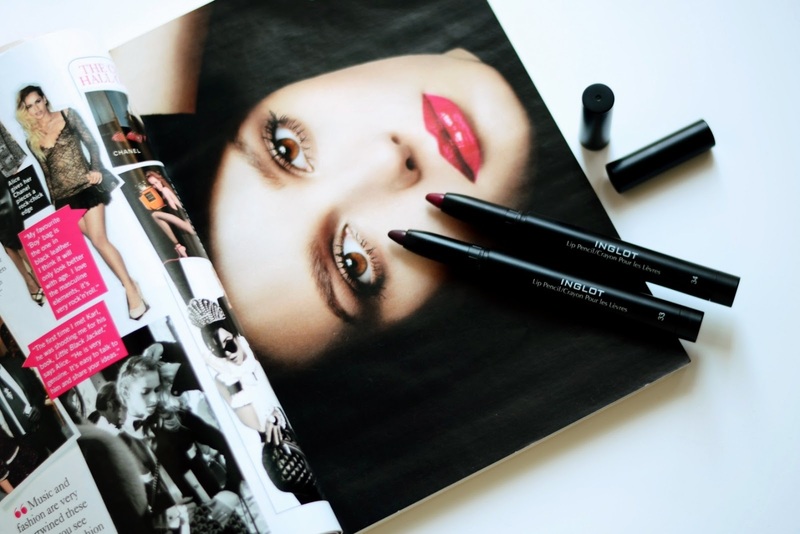 If you're looking for a new lip pencil/crayon to try out, you should give this one a go. The first time I learnt about INGLOT was when I was strolling trough Riga Plaza. Curiousness got the best of me and so I went in to see what that INGLOT was and what do they offer. Well as it turns out - quite a lot. After browsing it for a couple of minutes and adding it to my bookmarks I went home and started to google some information about it. As it turns out INGLOT was founded over 30 years ago in Przemyśl (Poland) and now is one of the world's leading manufacturers in color cosmetics. They currently have a presence at all major beauty happenings and events around the globe, from the runways of Fashion Week to the stages and sets of TV and Broadway musicals. When I read that and the rest of the information I was quite impressed and ready to go and make my first purchase. I was hoping to find the color of eye shadow that I've been trying to hunt down, as they have a big selection of them, but unfortunately my pickyness holded me back from a purchase. But as my sister had bought a lip liner/crayon in shade 33 couple of days ago, I wandered to the lipstick, lip liner/crayon stand to see what they have in that department. And as you see it ended with a purchase. I got myself one in shade 34 (like I already don't have a stock of berry shade lipsticks). Though I wouldn't mind getting one in the same shade my sister bought. Even though it cost only 11€ the packaging makes it feel a lot more expensive. Very handy is the sharpener that is hidden on the other end of the liner. If you choose to use it as a lipstick (like I've been doing it) you should know that it can be quite dry on the lips as it's from the matte collection. In winter time, before applying the liner, I'd advise you to put a little bit of lip balm on your lips and let that soak in a bit, then take the excess off with a napkin and only then put the liner on. Though I like to do that with every lipstick, so maybe you don't have to. You have to test it for yourself. As for lasting, I'd give it a 7/8 out of 10. I found that I had to reapply it couple of times throughout the nigh when I was attending an event. But I was having a meal, so it does affect the lasting. But all in all it's a really great product for a reasonable price! Do you own anything from INGLOT? If so, what and should I try it out? 4 comments on "SHADES OF INGLOT"